For those who don’t know, “Cheesemonger” is someone who sells cheese. Every year, fewer and fewer stores are nominated in this section, and this year the nominations drop to 8! 1. Cheese Bar – 52% of the vote. 6031 SE Belmont St., Portland, OR. 97215 Map (503) 222-6014. (Many people still think of this as “Steve’s Cheese”). This store is on the West facing slope of Mount Tabor. In addition to offering cheese and a small selection of gourmet items, the Cheese Bar also offers food to eat there, with beer and wine. You’ll find a selection of five cheese boards, a meat board, pate board, a few salads, sandwiches, fondue, etc. I’ve spent many afternoons whiling away time here. New Seasons Market is a local grocery store chain. I’ve noticed over the past few years that the cheese selection has increased, as has the knowledge of the good folks who help you through the selection process. 3. City Market/Pastaworks – 13%. I was at City Market a few weeks ago, and realized I need to go there more often. I really like the cheese selection, and the people that work the counter. City Market is a boutique grocery store with a selection of wines, pasta, a meat counter, and good fruits & vegetables. Another specialty store, Foster & Dobbs is a mix of everything gourmet – wine, olive oils, chocolate, spices, etc. For my money, they have some of the best sandwiches in the city, and they have a large cheese selection. Category: Best of Portland 2013!. Related posts about City Market, Foster & Dobbs Fine Foods, New Seasons Market, The Cheese Bar. 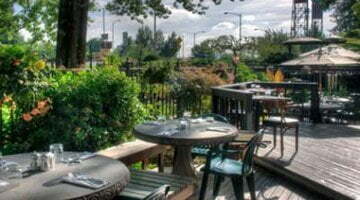 Previous Post: « Reader Survey 2013: This Restaurant is Coasting on Its Reputation! I’m expecting Sasha Davies at Cyril’s to break into this next year. Easily my favorite place to buy cheese in the city. 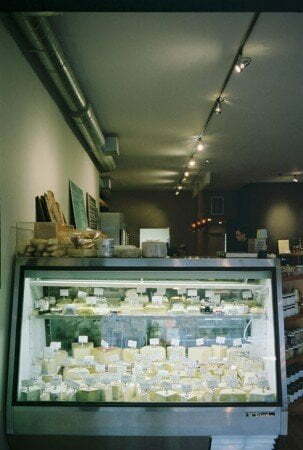 Used to buy cheeses at Meier and Frank Deli in basement. Got a very good beer kansas cheese there. It was good tasting but most people did not like fragrance, worse the Limburger. It is also hard to find good Munster here. Aged provolone is so much better then what is sold in most stores.